An isopropyl alcohol-based substance, gel fuel burns clean and is safe to use in outdoor/indoor cooking devices and heating products. The fuel is packaged in metal containers with a quick-release lid. Gel fuel, like other products containing alcohol, is harmful to bodies of water, including groundwater, sewer systems and well water. The fuel must be disposed of properly so it doesn't come in contact with the environment. 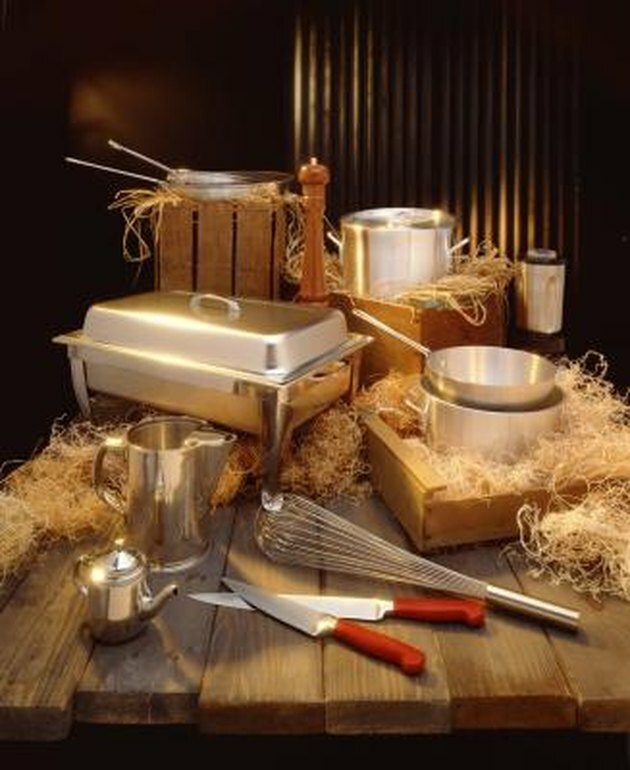 Gel fuel keeps food in chafing dishes and other metal containers warm. Remove the empty, partially full or full container of gel fuel from the device it is in. If you still have the container's lid, place the lid on the container and secure it tightly. Place the container in the bag. Roll the top of the bag and tape it closed to keep any fuel residue from leaking from the bag. Dispose of the bag in your home or business' outdoor trash can. Can I Use Sea Foam in My Weedeater?